What You Get From The Book? 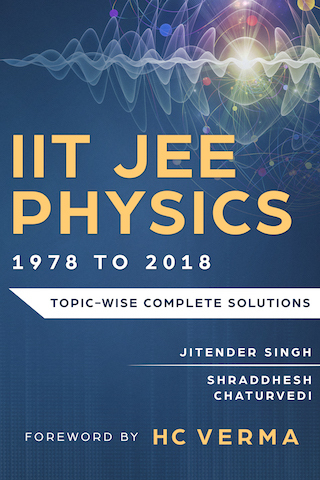 1400+ solved problems from IIT JEE. The book contains all questions and their complete solutions. Concept building by problem solving. The solutions reveals all the critical points. Topic-wise content arrangement. IIT preparation with school education. Promotes self learning. Can be used as a readily available mentor for solutions. You will love it. If not, we will take it back, no questions asked. Bring conceptual clarity and develop the skills to approach any unseen problem, step by step. Precise and clear approach. Excellent explanation with necessary diagrams. Definitely a class apart. Strongly recommended. I have gone through the book very deeply and find the quality of solutions to be accurate and lucid. The book is published by PsiPhiETC with ISBN 9352814843. Its average rating on Amazon is 4.4 out of 5 (from 27 reviews as on 26 January 2019).